Everything she'd hoped for has come true. Aimee Donovan's mountain man of her dreams came to 2010 to find her and take her home, and now they can live together forever. But a life two hundred years in the past is filled with challenges. Learning to overcome dangers and discover her calling will be more difficult without modern technology and conveniences of the twenty-first century. Daniel Osborne has seen the future, and he wants no part of it, except the woman who is his heart song. 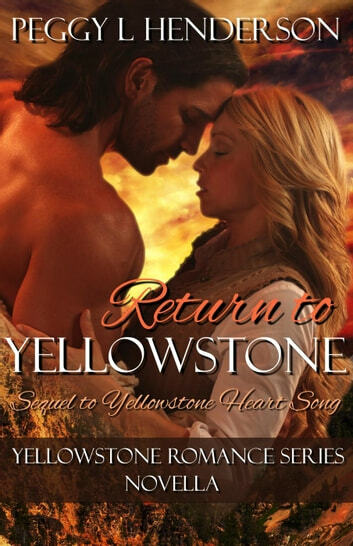 His life is complete now that she has chosen to live in his familiar Yellowstone wilderness of 1810. With the secrets his father had kept from him now revealed, he is tormented about what to do with the time travel device that has done more good for him than harm. Daniel and Aimee have no doubt that they want to stay together forever, but knowing they have the ability to travel forward in time if there is a crisis provides a loophole that has good and bad implications. Do they have the courage to rid themselves of the one thing that could save them? I've always bee a fan of westerns especialy Louis L'Mour. This boo s written with a womans perspective and modern woman who returns to the man and time she loves.